I'm excited to embrace this month with full of smile and joy. It's a perfect time to be outside playing or just doing some garden works with my family. To add up my excitement, I received once again, another free pair of sunglasses from Firmoo wohoo! Two weeks ago, Firmoo sent me an e-mail if I'm interested to review their glasses. I'm stoked! So I said, YES! 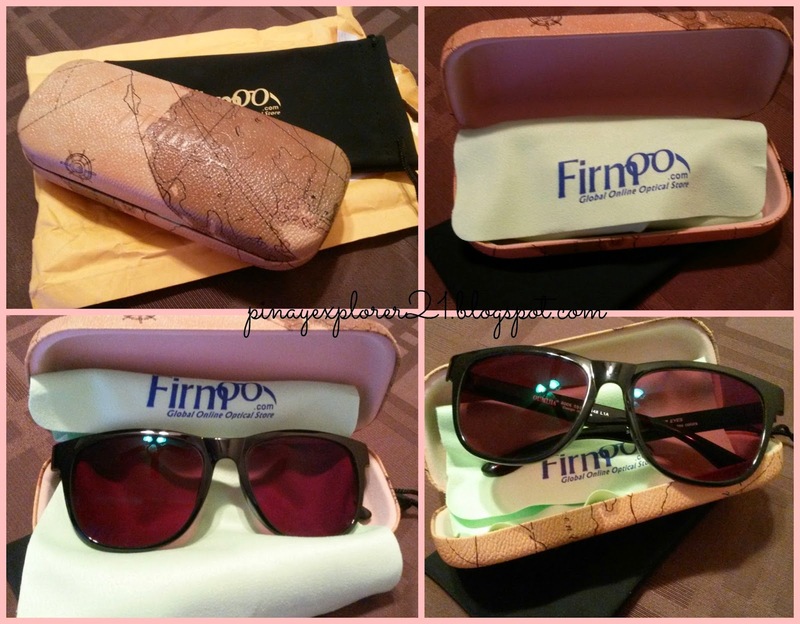 I did a reviewed of firmoo sunglasses not to long ago, check out my post here. Firmoo is a Global online optical store who offers a wide variety of glasses, including prescription and non- prescriptions sunglasses and specialty eye-wear for men and women. If your interested getting a sunglasses or any type of glasses check Firmoo.com. As you can see the photo above, the package is packed perfect. It comes along with a durable case, screws and cleaning cloth. To top if off it comes along with a note on how to take good care of your sunglasses, which is very helpful tips. 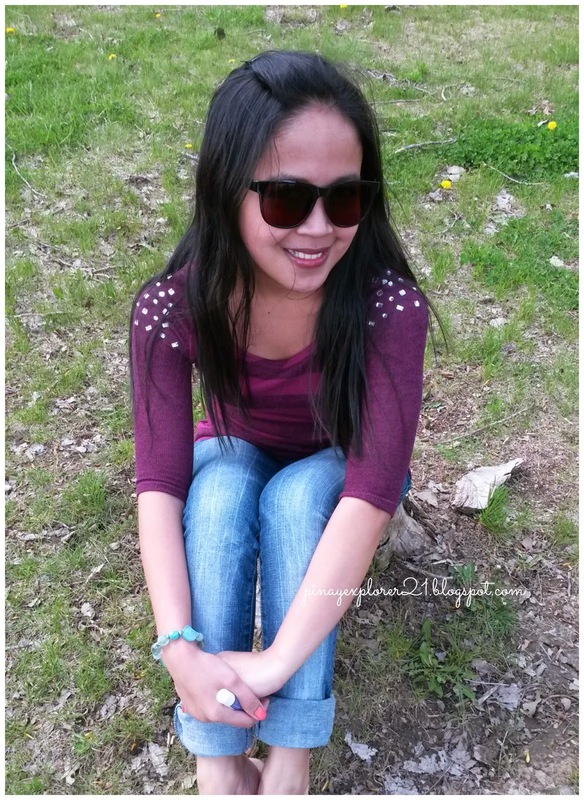 The sunglasses fit so perfect, its light and very trendy when it comes to design. Isn't is cute? I'm so ready to rock this summer with my new sunglasses from Firmoo. Wohoo! Its perfect timing, We are heading to park for my friend's daughter birthday party in couple minutes and I'm going to wear my new sunglasses.. :) I'm excited! Remember my excitement heading to the park today, Well, so far its a blast celebration with my friends. The photo above is a snapshot wearing Firmoo sunglasses. What do you think? I am digging this style of Firmoo glasses. Perfect for this season out in the sea. I remember winning a raffle from Daddy allan's blog for a Firmoo coupon, but wasn't able to use it because the shipping fee is killing me hahahha! Anyway, the shade and shape looks good on you sis. Bagay! Firmoo is very generous. They continue to share their products and sana I'd be one of the lucky few next time. :) Regards, sis! Just like Jhari said, medyo mahal talaga ang shipping fee. hahaha. I agree with you, i found mine durable. 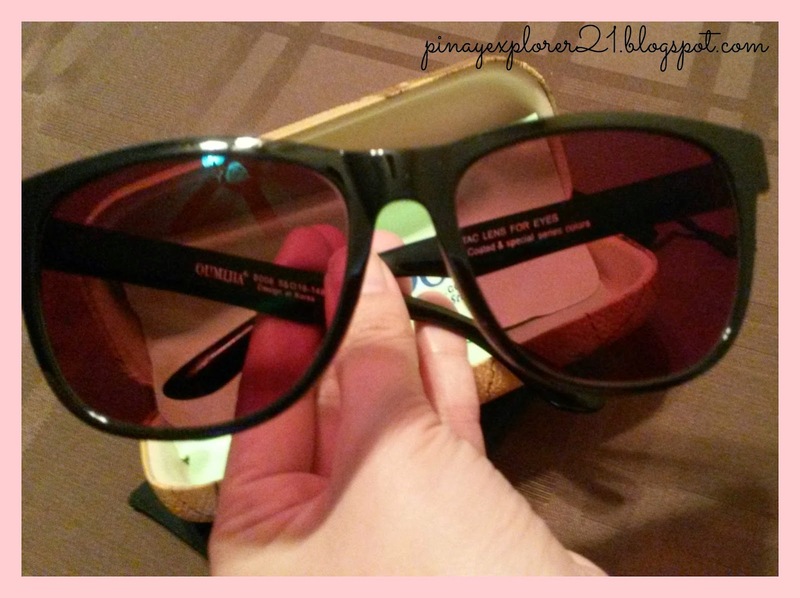 Buti na lang I won in Ms. Aby's Giveaway so I got a chance to have my own pair too. I've tried Firmoo sunglass too.. got a pair free for review a few years back..it's quite light unfortunately mine wasn't that durable as it broke after some time and I lost the screws etc..it does make a good basic pair thought.. but limited designs for sunglasses. Got mine before but eventually, it's damaged na. So boyfriend bought me a pair from a local brand. Almost exactly the same feel but affordable. Shipping from them is kinda expensive eh. That pair looks good on you. It's great that it's lightweight so it wouldn't hurt the nose bridge. I also got a Firmoo sunglasses years ago. Ang sarap sa mata! Btw, your sunnies look good on you! Ganda! It suits you and so perfect for summer! Nice sis, bagay na bagay. Daddy have a pair of Firmoo glasses too. I am not fond of glasses but if I will have a free pair then why not, hehe. That pair looks so perfect on you sis. This is really nice informative blog you shared with us in this you discuss the about the sweet cuisines and its benefits people who wants to make it must read this blog this will surely help them a lot.